We test the front wheel drive 2019 Infiniti QX50 compact crossover and find it to be very appealing. However, we are conflicted on this trim’s name. The Infiniti QX50 is a compact, two-row crossover that leans very heavily towards the 5-door car category. 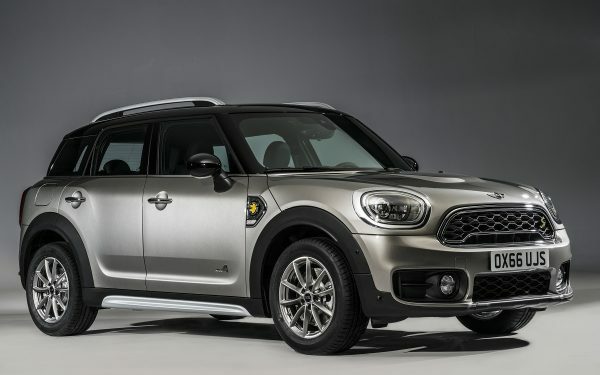 This isn’t a rough and tumble Subaru Forester-type of crossover, but more of a wide, tall wagon designed for those looking for a car with a slightly higher ride height. One thing we truly loved about the QX50 was its packaging. This vehicle is perfectly sized for those who want the space of a midsized sedan, but with a better view of the road and easier ingress and egress. It is also much easier to buckle a child into the rear seats than with a low-slung sedan. Furthermore, the cargo area is a giant cube. From the outside, the QX50 has a distinct and almost unique appearance. It looks like a cross between a crossover and a car. Whatever it is, we love it. Looking for a great new or used vehicle? Start your search at BestRide.com. 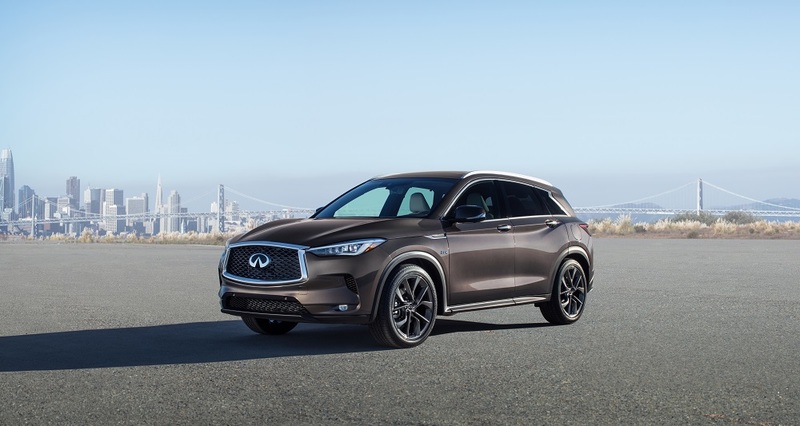 The 2019 Infiniti QX50 starts at about $38,000 in front wheel drive. 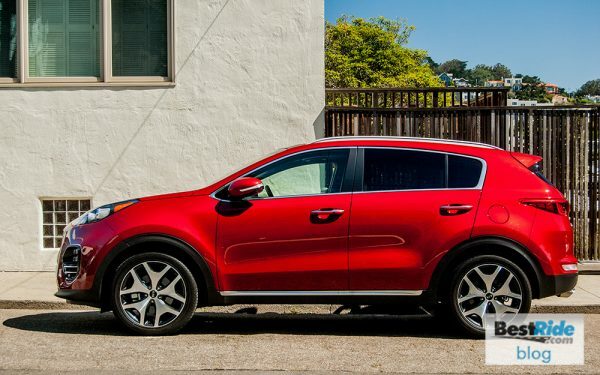 There are three trim levels, Pure, Luxe, and Essential, and each can be had with optional AWD. A fully-loaded Essential AWD QX50 will top out at about $56,000. We tested the 2019 QX50 “Luxe” trim in front wheel drive priced at $41,370. What struck us as odd, was that the middle “Luxe” trim has almost zero luxury features. In fact, we found it to be less well equipped than almost any top-trim mainstream crossovers its size. Our Luxe trim QX50 had forward collision prevention and blind spot monitoring. Other driver aids are optional. Nissan/Infiniti’s Pro Pilot assist technology is part of a $2,000 package. The Insurance Institute for Highway Safety has not yet rated the new generation of Infiniti’s QX50, but we would expect top results given Infiniti’s reputation. The QX50 has a new type of 2.0-liter turbocharged engine which generates 268 hp and 280 lb-ft of torque (at a relatively high 4,000 RPM). 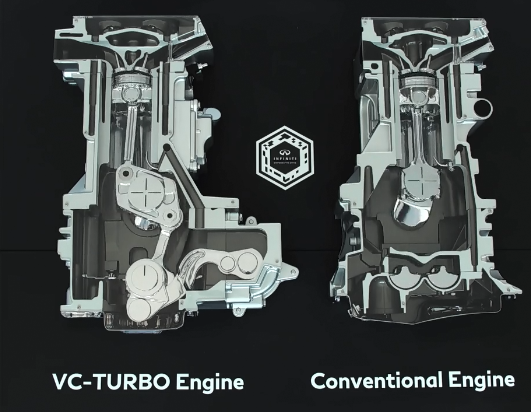 Infiniti calls it VC-Turbo, for variable compression. The engine is able to modify both its compression ratio and its displacement a bit. The goal is better performance with better efficiency. Infiniti says the QX50 requires premium fuel, so we are not confident if that will translate into better fuel economy. In fact, the 2019 Mazda CX-5 with more torque and AWD has a lower cost for fuel than the front-wheel drive QX50. 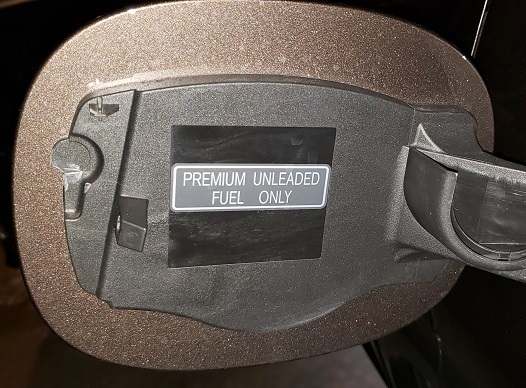 Our fuel economy in the QX50 FWD Luxe measured at the pump over 290 miles of mostly highway driving was 25.3 MPG (using winter blend fuel). We found the QX50’s performance to be pretty “normal.” It didn’t feel unusually responsive, nor did it have any differences in the engine from a non-VC one that we could detect. Among its peers, we would say the QX50 feels a bit low in torque in the sub-2,500 RPM ranges. Our QX50 was disadvantaged by having front wheel drive. Any throttle input above moderate resulted in old-school torque steer. The wheel and the vehicle would dart from left to right in turns while accelerating. We are talking about mature, legal type of driving here, not juvenile delinquency behind the wheel. The inside front wheel would also spin in dry conditions. We didn’t have any bad weather during our test, so we can’t comment on the winter capabilities of this vehicle. Infiniti uses a continuously variable automatic transmission in the QX50. We have come to prefer CVTs in our vehicles due to their smooth operation and MPG benefits. The CVT in the Infiniti QX50 has been programmed to artificially “shift,” which we didn’t enjoy. We are not sure whether it is “compression lag” or gearing that isn’t optimal, but the QX50 didn’t have a linear acceleration profile. We felt like we got too little at initial throttle tip-in and then when we would try to add a bit of throttle the QX50 would then add too much power and torque. The QX50 has low-profile run-flat all-season tires and the resulting ride is firm. On back roads, the QX50 is enjoyable but does not have a sporty demeanor. On the highway it is superb. It tracks straight ahead and is quiet and comfortable. In addition to being “right-sized” on the outside, the inside of the Infiniti QX50 scores with outstanding ergonomics and comfort. One area we found particularly comfortable was the driver’s right leg knee room. Many crossovers in this size narrow the legroom to the point that a tall driver must rest his or her right leg against the console. Here, Infiniti has made the area wide and not confined the driver. Overall, the cabin feels roomy like that of a midsized sedan. Perhaps a bit wider than most of its peers in the two-row crossover class. The front seats were very comfortable. The power adjustment was all one needs and the heated seats were warm on record cold days. There is no perforation, ventilation, or cooling of the front seats, which is a notable missing feature at this price point. In hot climates (where one may buy a front wheel drive crossover) this is an important feature one should expect in a premium crossover, particularly a Luxe trim. 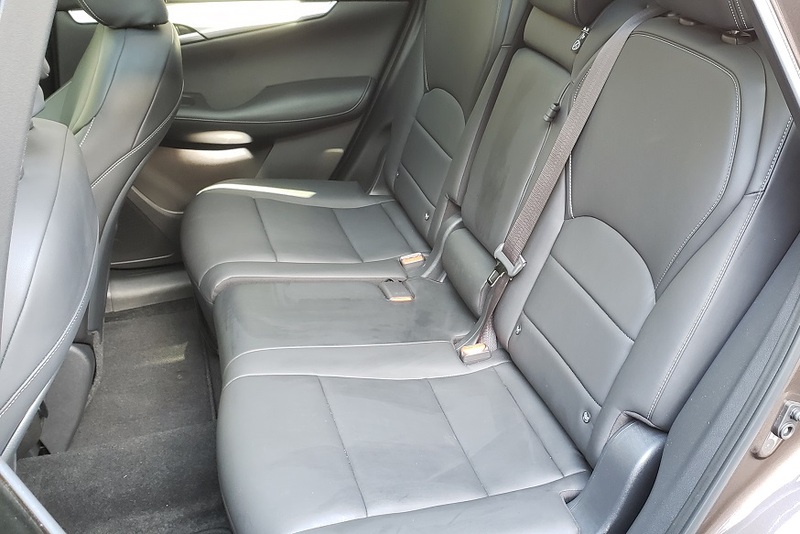 Rear seat room is adequate for adults and more than enough for children. Infiniti seems to have used a bit of rear legroom for added cargo capacity. A smart trade given its ample proportions. The QX50 has a very usable cargo area. It has a low load height, but not too low, is wide and tall and also deep. With the rear seats up it has a volume of 31 cubic feet and with the 60/40 rear seats folded it has an impressive 64.4 cubic feet. 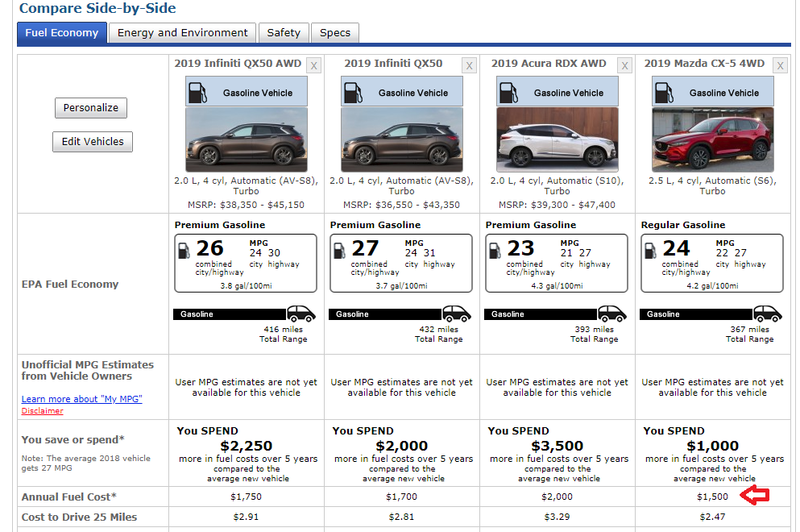 The 2019 Acura RDX has 29.5/58.9 by comparison, and the 2019 Mazda CX-5 has 30.9/59.6. 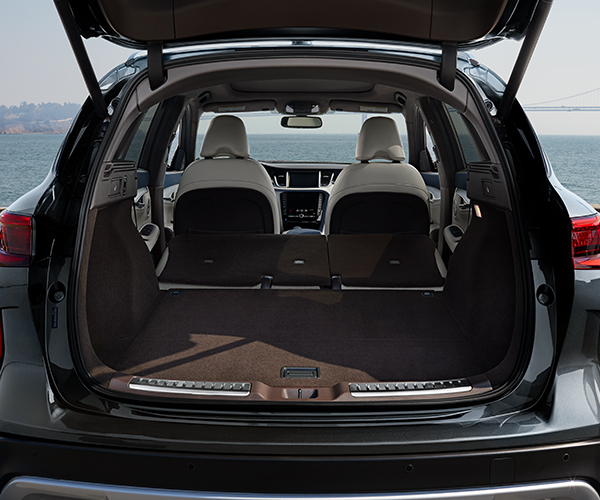 With no spare tire to store, the QX50 seems to have an advantage in the cargo area. Infiniti has finally switched away from its prior generation of infotainment. This new system is super easy to operate and there is no silly mouse to learn (like in the Lexus NX and Acura RDX). The touch screen is great, but after your initial setup, you won’t need to tap it much. The buttons under the menus work great as do the steering wheel controls for all the common functions. Infiniti adds a second screen above the one that does all the work. In our Luxe, it was mostly just the same info we saw elsewhere. It showed a third clock or duplicated the MPG info. There is a remote rotary knob for this top screen, but touching it works too. Our guess is that in other trims that top screen would be the nav display and it would stay there while we could still see the audio info. Speaking of Audio and nav, unlike almost every one of its peers, and almost every mainstream crossover, the QX50 Luxe doesn’t have Android Auto or Apple Car Play. Nor did the QX50 Luxe we tested have navigation built in. That wasn’t all. There is also no wireless device charging tray (nor any kind of place for one’s phone except inside the console or cupholder). With regard to missing features in a premium segment crossover called “Luxe,” the QX50 Luxe also has no heated steering wheel, no adaptive headlights, no head-up display, no adaptive cruise control, and no other features we normally associate with luxury vehicles. To put it bluntly, the $41K Luxe comes with less standard equipment than many $35K mainstream crossovers this size we have tested. Some vehicles priced in the $20Ks have most of these features. The QX50 appeals to us for many reasons. The size and packaging are fantastic. We liked the touch screen interface of the infotainment system much better than most premium vehicle brands’. It is exciting that Infiniti is putting new engine technology in driveways rather than just boasting about vaporware and laboratory advancements. We would suggest that any shopper considering the QX50 look very carefully at the content of the one they opt to consider. The Luxe trim is not fairly named in our opinion, and with Infiniti being a premium brand we suspect most shoppers will want at least some of the features we found to be conspicuously absent.